A single mold but infinite customization possibilities: ITM offers the solution developed by PET Engineering that allowed Efes Rus to launch three new bottles at low cost and with an even more modest investment as expected. 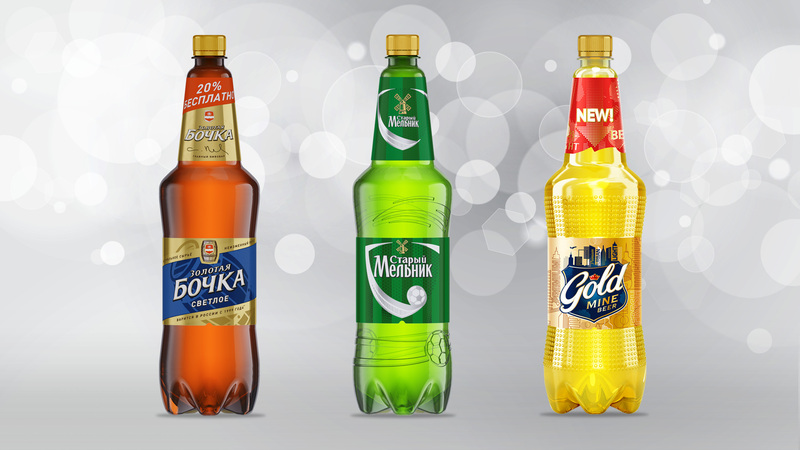 The new shape of the Efes Rus brands – Gold Mine Beer, Stary Melnik and Zolotaya Bochka – is flexible thanks to the fact that the appearance and format of the bottles can be easily altered using interchangeable inserts with the original mould. This means that it is always possible to add new decorations, to modify their size compared to the surface of the bottle, to move and resize the label area and to modify the capacity of the bottle by 5%, depending on end users’ changing consumption patterns. Implementation costs are low, as there is no longer the need to buy new mould sets to revamp the image of the products. What’s more, the bottle shape and overall dimensions remain the same despite the changes to the bottle’s general appearance, meaning that expensive interventions for format change-overs on the production line will no longer be necessary. This contributes to cut the involved costs for the design, implementation and installation of the different machine parts necessary to process a brand-new container.